Aug2 by John M. Buol Jr.
Jul16 by John M. Buol Jr.
USARCMP Service Pistol shooters competed against the best National Rifle Association and Civilian Marksmanship Program Precision Pistol competitors from the United States from July 9 to 15 using accurized .22, CenterFire, .45, and Service Pistols. There were 500 registered competitors for the NRA National Pistol Championships (July 9-13) and over 540 registered competitors for the CMP National Trophy Pistol Matches (July 14-15). In addition, USARCMP members assisted with conducting the Small Arms Firing School. 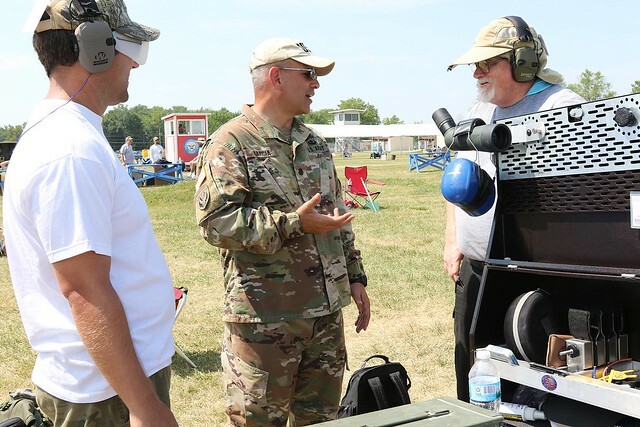 SAFS is held in conjunction with the National Matches and all branches of service are mandated by Federal law to provide shooter-instructors to conduct a marksmanship training clinic. All U.S. citizens and service members can attend these annual events. The overall Service Pistol Team consisted of 17 USARCMP members. USAR Black was the primary six-person element for Team matches. 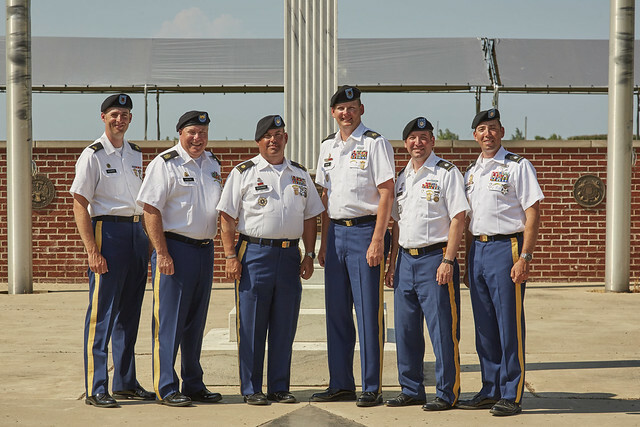 LTC Patrick Sleem (Service Pistol Team OIC), SGM George Greene (Service Pistol Team NCOIC), LTC Mitchell Rosnick, MAJ Thomas Bourne, SSG Jonathan Rosene, and SGT Nickolaus Mowrer. The rest of the USARCMP roster included LTC Casillas, LTC Luis Garcia, CSM Steven Slee, SFC Brenn Combs, SFC Joshua Rosendorn, SFC Braddford Griffith, SFC Sonny Pearman, SFC John Buol, SGT Robert Farrell, and SGT Matthew Elliot. New to the Service Pistol Team is SSG Sandra Uptagrafft. 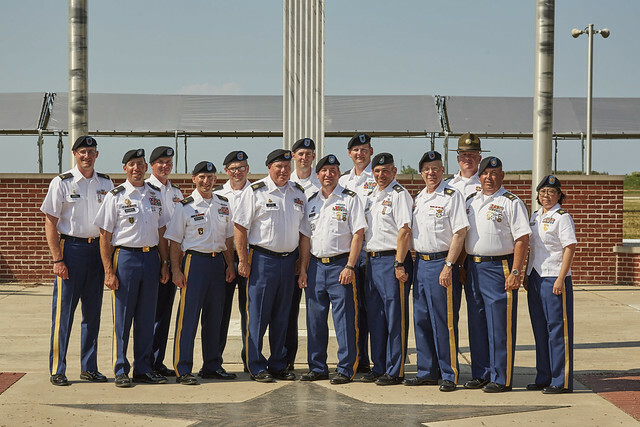 From left, SGT Farrell, LTC Rosnick, SFC Pearman, SFC Rosendorn, SFC Buol, SGM Greene, SGT Mowrer, LTC Sleem, SSG Rosene, LTC Garcia, CSM Slee, SFC Combs, MAJ Bourne, SSG Uptagrafft. The Preliminary Match was a separate event consisting of .22, Center Fire and .45. SSG Rosene finished in the top ten overall. SGM Greene took 2nd place among Master-class Service competitors. SGT Mowrer and SSG Rosene finished in the top 10 individual match results. For CenterFire Team, USAR Black was the 2nd place Master/Service team and 1st Reserve element. For .45 Team, USAR Black was the first place Master/Service team. In .22 Only overall, CSM Slee finished 3rd overall. For the CMP Pistol Nationals, the Team helped conduct the annual Small Arms Firing School. USAR CMP shooters making the President’s Hundred cut included LTC Sleem, LTC Rosnick (first year), MAJ Bourne, SGM Greene, SSG Uptagrafft (first year), and SSG Rosene. SSG Uptagrafft prepares to earn her President's Hundred tab. SGT Mowrer won the President’s Hundred Glock Award for being the first place competitor shooting a Glock. In addition to earning the President’s Hundred tab for his first year. 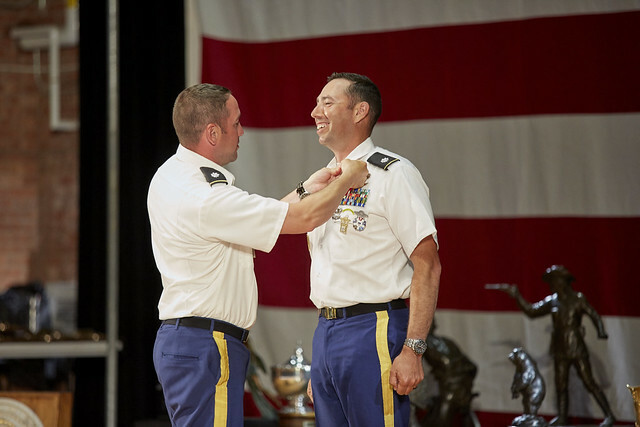 LTC Rosnick also legged out in the CMP’s .22 Distinguished. 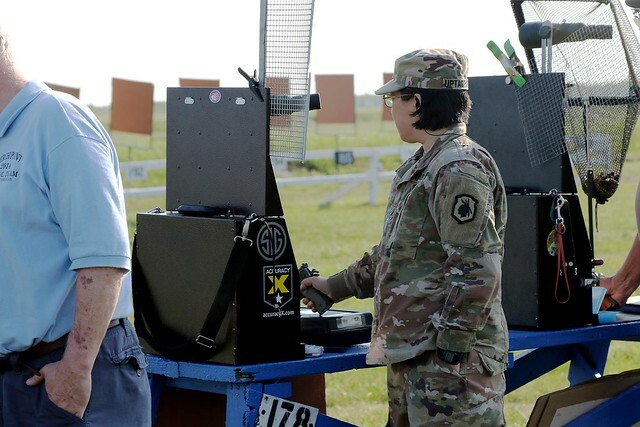 For the CMP EIC Pistol Match, SGM Greene was in the top ten overall. SGT Mowrer had a top-five finish in the Glock (GSSF) Camp Perry National Challenge. 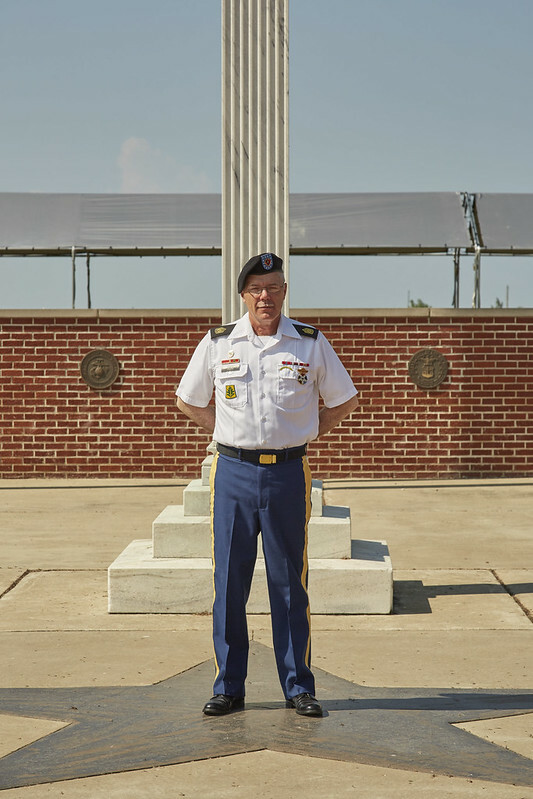 For the U. S. Army Reserve Memorial Trophy (Reserves), LTC Sleem was second overall, followed by SSG Rosene in third. For the U. S. Coast Guard Memorial Trophy (Reserve Component Teams), USAR Black took second. Firing members were SSG Rosene, LTC Sleem, SGM Greene, and LTC Rosnick.